For the average investor, irrespective of your overall investment portfolio composition, it is crucial to understand how each component of the portfolio is taxed. For a typical muni bond investor, the interest income is exempt from federal taxes as well as from state and local taxes if the debt happens to be issued within the state where the investor resides. Although most investors understand the fundamental differences between tax-free and taxable returns, in some cases a “tax-free” instrument might end up creating a tax bill. For instance, when municipal securities are purchased in secondary markets with a premium or discount, the tax treatment on the principal payment may differ, creating a taxable event. Zero-coupon muni bonds are no exception, wherein an investor can potentially overestimate the returns of a zero-coupon bond without understanding the impact of taxation. In this article, we will briefly explain how zero-coupon munis differ from regular munis and how taxation can impact investor returns from zero-coupon munis under different scenarios. What Sets Apart Zero-Coupon Munis From the Regular Munis? As the name suggests, zero-coupon munis are tax-exempt debt instruments issued at substantial discounts from their face value. Thus, unlike regular munis, zero-coupon munis don’t make periodic interest payments. The difference between purchasing price and face value will be the interest on these bonds, which is collected upon their maturity or sale. Be sure to read our article on what you should know about zero coupon municipal bonds. For example: A zero-coupon bond, with a face value of $1,000 and a 10-year maturity, can be bought for $550. This means that upon its maturity, an investor will receive $1,000 of which $450 will be his tax-exempt interest earned throughout the term of the bond. 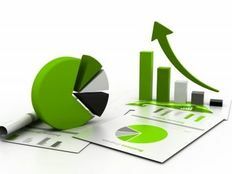 These instruments may not be an optimal choice for investors seeking regular and recurring income from their investments; however, investors tend to hold these securities in their retirement accounts or long-term portfolios. Let’s consider some of the potential benefits of zero-coupon munis over their regular counterparts. Protection from reinvestment risk: Absence of recurring interest payments from these bonds means there is no income to reinvest in other instruments. Thus, investors are relieved from reinvestment risk. Low minimum investment: These instruments are typically sold in denominations of $5,000 face value. Because they are heavily discounted from their face values, investors can invest more in zero-coupon munis than in regular munis. Benefit of tax-exempt compounding: Since the interest isn’t paid out to the investors, these bonds are essentially paying “interest on interest.” In addition, these interest earnings are tax exempt. Taxation on zero-coupon munis is only realized upon their sale or maturity. If the bond is sold before its maturity, it is either sold at a discount or a premium in the secondary market. Any price paid above the adjusted issue price (discussed below) will be premium and any price below the adjusted issue price will be discount. To explain this further, let’s look at the Puerto Rico Commonwealth Zero Coupon Public Improvement bond (CUSIP 745145QE5). At the time of writing this article, this relatively shorter-term zero-coupon muni was trading around $92. Upon its maturity in July 2019, its investors would receive $100 and earn an interest income of around $8. A closer look into the official statement of the above-mentioned zero-coupon muni reveals that the bonds were issued in March, 2000 with an interest rate of 4% and maturing in 2004. Now, let us assume that a zero-coupon muni is issued in 2017 with a 4% annual compounding rate and expected to mature in 2021. In order to provide the full face value of this bond to the investor in 2017, the bond issuer needs to discount the bond value back four years to the 4% discounted rate. Meanwhile, an investor would add accrued interest (i.e. $36.63) every year for his tax purposes and would eventually receive $1,000 in 2021. This value of the muni bond along with the accrued interest (shown in the schedule given below) is known as the ‘*Adjusted Issue Price*’. In the most simple case, if the zero-coupon muni is tax free, then the interest accruals will naturally be tax exempt. Most zero-coupon munis bonds are tax exempt, as they are purchased at deep discounts and don’t make any periodic coupon payments. This is often favorable for investors in higher tax brackets who are looking for investment growth over regular income. If an investor decides to sell the above zero-coupon muni in 2019 in the secondary market at a price higher than the adjusted issue price, the event becomes taxable. However, this can be avoided by holding these bonds in tax-deferred accounts. Check out the different ways to invest in muni bonds to stay up to date with the current investment strategies here. Credit risk: An investor should carefully analyze the creditworthiness of the issuer before investing in zero-coupon munis. 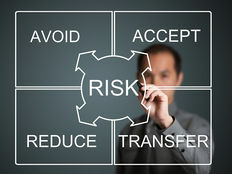 A primary risk is tying yourself up in an investment that will only pay upon maturity. 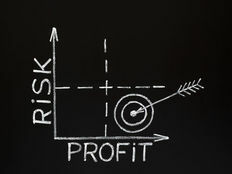 Market Risk: As with all fixed-income securities, the market risk plays a crucial part in your decision around zero-coupon munis. If an investor decides to sell the bond prior to maturity, he or she would subjected to the current interest rate environment. Be cautious of a rising rate environment, wherein zero-bond holders may end up selling the instrument at a discount. Call Risk: Some zero-coupon bonds may have call provisions, further exposing an investor to reinvestment risk, i.e. he or she might not be able to reinvest in securities that might provide similar or higher yields compared to the securities that were called back by the bond issuer. Tax risk: Although there are no interest payments made on zero-coupon bonds, investors may still be subject to the tax implications for the accrued interest part on the bond value for each year. This can be avoided by investing in zero-coupon munis. Do read due diligence on muni bonds to have a better understanding of the regulatory framework. Zero-coupon munis can provide important benefits to investors with longer time horizons who are seeking tax-free investment growth. For investors who do not need current income, this instrument can be an ideal solution. Although, there are different ways of investing in zero-coupon bonds, investors must stay cognizant of the fact that accrued interest can still be taxable on these instruments. Furthermore, investors can purchase different maturities of zero-coupon bonds in the secondary markets issued by the U.S. Treasury, state or local governments to potentially alleviate the tax burden.